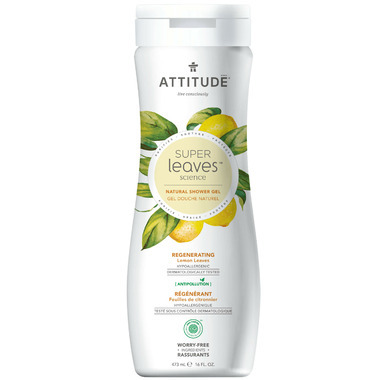 Thanks to the genius of science, ATTITUDE Super Leaves products feature active ingredients, extracted from leaves! Bring the benefits of leaves to your everyday! Watercress and Indian cress super leaves are known for their regenerative abilities and for being high in minerals, vitamins and growth factors. These powerful elements are extracted and used in ATTITUDE Super Leaves shower gel formulas to help promote healthy skin. ATTITUDE's Regenerating Shower Gel is enriched with lemon leaf extract, known for its antioxidant, purifying and regenerative properties. You will love its aroma that reminds us of Earl Grey tea and fresh cucumber. 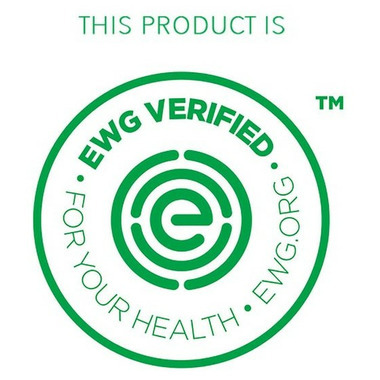 Ingredients: Aqua/water/eau, coco-glucoside, sodium coco-sulfate, vegetable glycerin, sodium cocoyl isethionate, glyceryl oleate, citric acid, sodium benzoate, potassium sorbate, nasturtium officinale (watercress / cresson) extract, tropaeolum magus (Indian cress / capucine) extract, maltodextrin, moringa oleifera seed extract, citrus medica limonum (lemon / citron) leaf extract, 3-hexenol (green leaves), methyldihydrojasmonate (jasmine), dimethyl heptenal (fruit). I love this body wash! Given it is made of all natural ingredients, and is not irritating to my skin, I am happy to have found something that isn't full of chemicals to be absorbed into my body. It has a light scent, which is enough to feel fresh and clean, but not too overwhelmingly perfumed like some other body washes are. Super product, smell very good and has a good foam. From Quebec, not tested on animals, vegan, not dangerous for the health and planet, vvhy asking more ? The only thing: it smells very soft, so people vvho are used to have a strong smell on them after the shovver could be disappointed because the smell doesn't last.